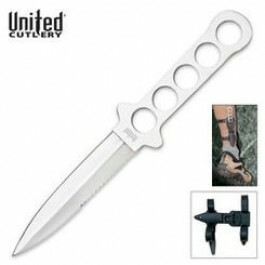 Buy Stingray Dive Knife Silver Sheath , from Budk - RBC VISA for $12.99 only in My e-commerce. If you are searching for the best dive knife available, then look no further than this Sting Ray dive knife from United® Cutlery. 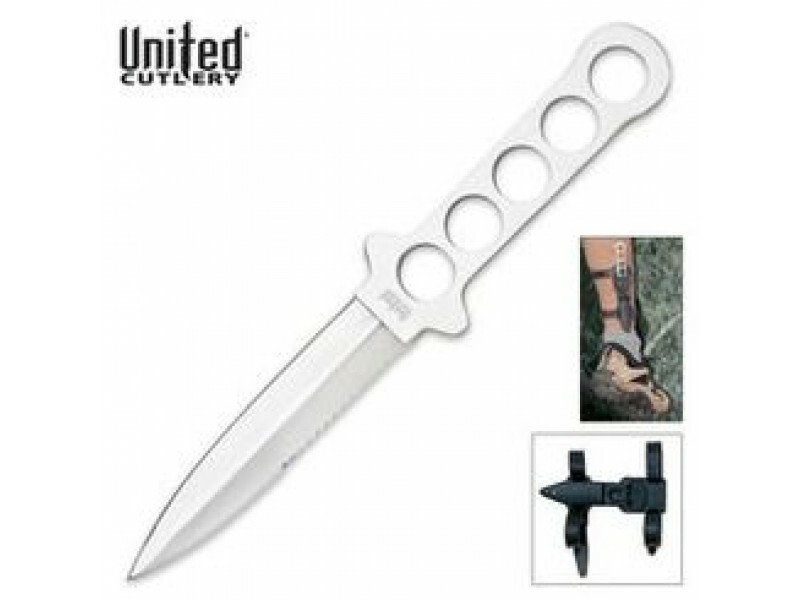 Constructed of one piece of solid AUS-6 stainless steel, the half-serrated blade offers a slotted handle for a secure grip with a lightweight feel. The partially serrated blade provides the ability to quickly saw through almost anything you may encounter. Includes a black impact-resistant ABS sheath with a quick-release mechanism for fast, easy accessibility in life-threatening situations. A water drain hole allows excess water to drain off the knife quickly to prevent corrosion. Can be worn with rubber arm/leg straps or on a belt. 4" blade. 8 5/8" overall.